On Saturday, September 17th Sew*Quilt*Share hosted the second annual “Pad Palooza”. Since female students in many third world countries miss a week of school each month because they lack access to feminine hygiene products, the main purpose of the event was to cut and sew reusable cloth feminine pads for Mission Possible to distribute in their Christian Schools in Haiti. We are delighted to share that a total of 243 cloth feminine pads were sewn that day and over 200 were cut out! 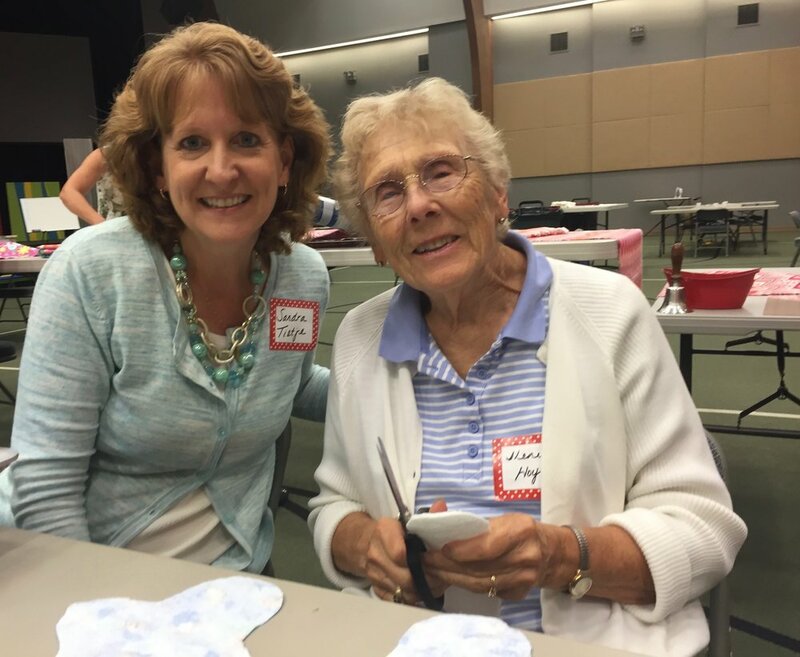 Prior to the event, SQS ladies had sewn 628 pads and over 3,400 were shipped to Gateway from all over the United States and from as far away as Canada. We rejoice that these gifts will go on our behalf, and impact the opportunity for 363 precious young women in Haiti to receive a Christian education. To God be all the glory! An additional purpose for “Pad Palooza” was to open the doors of Gateway Church and invite our community to connect with us. Throughout the day over 35 women attended. It was a blessing to see women of all ages connecting with one another and serving together in unity. We pray that seeds were sown both at Gateway and in Haiti, which will draw women into a deeper relationship with Jesus Christ. Thank you to all who attended Pad Palooza, especially the volunteers who sacrificed their time to make this event a success. If you sew or can handle a pair of scissors, catch the vision and join us for the next Sew*Quilt*Share meeting scheduled for Tuesday, October 27th. We would love to connect with you! If you are unable to attend but would like to serve the young women of Haiti in this outreach ministry, please click here to download the pattern and bless others by sewing at home.